Stage version of the television play. First performed at the Royal Court Theatre, London on 9 June 1982, as part of the Young People’s Play Scheme. With Paul McGann, Robin Hayter, Paul Moriarty, Dorian Healy, Beverley Martin. Directed by Antonia Bird. Followed by a touring production by Nottingham Playhouse Theatre in Education. Co-written with Howard Brenton, David Hare, Ken Campbell. First performed at Nottingham Playhouse, 1977. Directed by Richard Eyre. A new English version of Chekhov’s play. First performed at Nottingham Playhouse in 1977. With Bridget Turner as Ranevsky, Ralph Nossek as Gayev, Brian Glover as Pischik, Dave Hill as Lopakhin, Lynsey Baxter as Anya, Annie Hayes as Varya, Susan Porrett as Charlotte, Antony Sher as Epikhodov, Helen Brammer as Dunyasha, John Barrett as Firs, Malcolm Storry as Yasha. Directed by Richard Eyre. First performed at Nottingham Playhouse in February 1975. With Jonathan Pryce as Gethin Price, Jimmy Jewel as Eddie Waters, Stephen Rea as George McBrain, James Warrior as Phil Murrary, Dave Hill as Ged Murray, Louis Raynes as Sammy Samuels, Ralph Nossek as Bert Challenor, Talat Hussein as Mr Patel, Richard Simpson as the Caretaker, John Joyce as Club Secretary. Directed by Richard Eyre. The production transferred to the National Theatre at The Old Vic and then Wydhams Theatre, London. The first US production was in New York at the Music Box Theatre in 1976, with Jonathan Pryce, Milo O’Shea, John Lithgow. Directed by Mike Nichols. 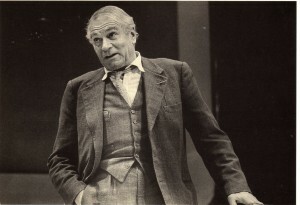 First performed at the National Theatre at the Old Vic, London, in December 1973. With Sir Laurence Olivier as Tagg, Frank Finlay as Sloman, Ronald Pickup as Joe Shawcross, Denis Quilley as Ford, also Doran Godwin, John Shrapnel, Sarah Atkinson, Anna Carteret, Rachel Davies, Desmond McNamara, Nicholas Clay, Gawn Grainger, Gillian Barge, Ram John Holder. Directed by John Dexter. 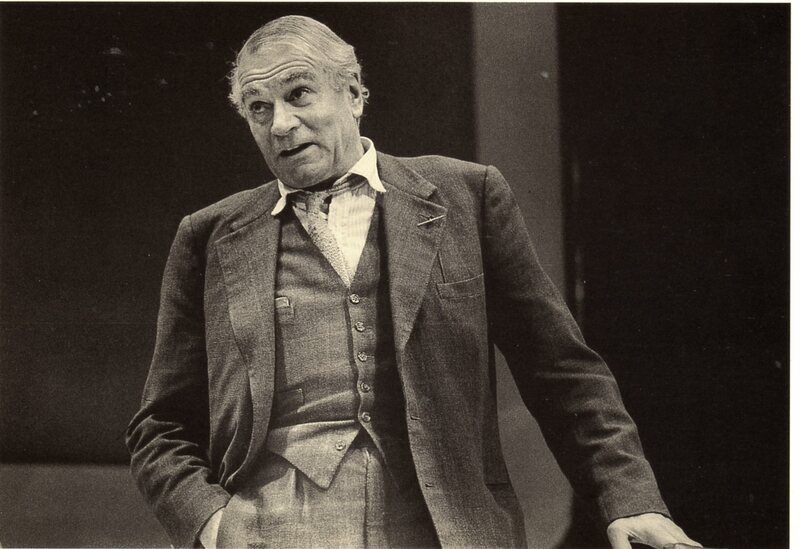 A new National Theatre touring production directed by David Hare followed in 1974. In 1985 it was produced by the Royal Shakespeare Company, directed by Howard Davies and David Edgar. First performed at The Open Space in London in February 1972. With Nikolas Simmonds, Vanda Godsell, Shelagh Fraser, Charles Lamb, Catharine Kessler, Anthony Milner, Tamara Hinchco, Tom Macaulay and Ann Henning. Directed by Charles Marowitz. A short play first performed in a double bill with Apricots in August 1971 at the Festival Fringe in Cranston Street, Edinburgh, with Peter Sproule as Yukhov and Tamara Hinchco as Anya. It was directed by Robert Walker and produced by the 7:84 Theatre Company. It was revived in 2006 as part of a triple bill of short plays (with Apricots and Camel Station) collectively titled To The Mountain, directed by Tamara Hinchco. 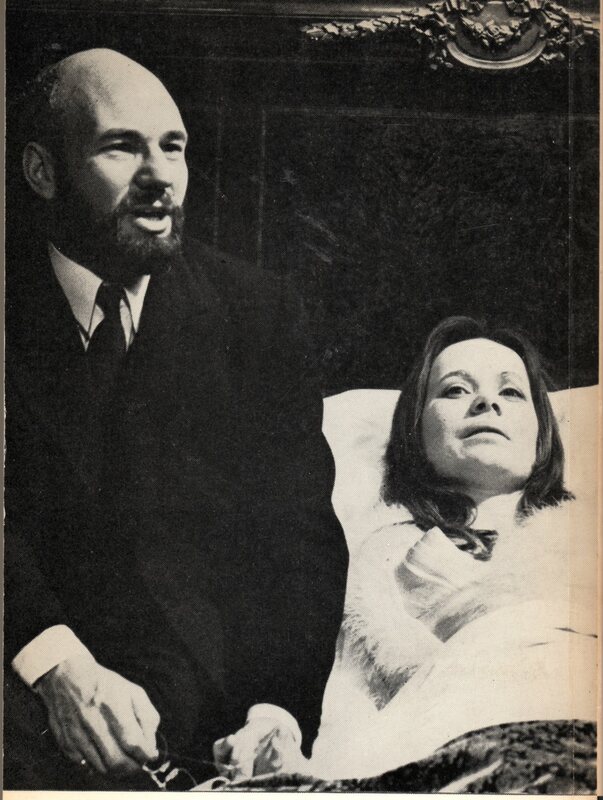 A short play first peformed in June 1971 at the Basement Theatre in Soho, London, with Peter Sproule as Sam and Tamara Hinchco as Anna. It was directed by Robert Walker. The same production was performed as part of a double bill with Thermidor in August 1971 at the Festival Fringe in Cranston Street, Edinburgh. It was revived in 2006 as part of a triple bill (with Thermidor and Camel Station) collectively titled To The Mountain, directed by Tamara Hinchco. First performed at Stables Theatre Club, Manchester, in October 1970, with Richard Wilson as Kabak, Richard Kane as Gramsci, Katherine Barker as Angelica, and Clare Welch, Paul Williamson, John Flanagan, William Simons and John Horsley. Directed by Gordon McDougall. London premiere, Royal Shakespeare Company at The Place, October1971, with Patrick Stewart as Kabak, Ben Kingsley as Gramsci, Estelle Kohler as Angelica, and Heather Canning, Philip Locke, John York, Clement McCallin and Sebastian Shaw. Directed by Buzz Goodbody.